With more than a decade of branding experience across every industry you can possibly imagine, Amy is an entrepreneur and an award-winning writer. 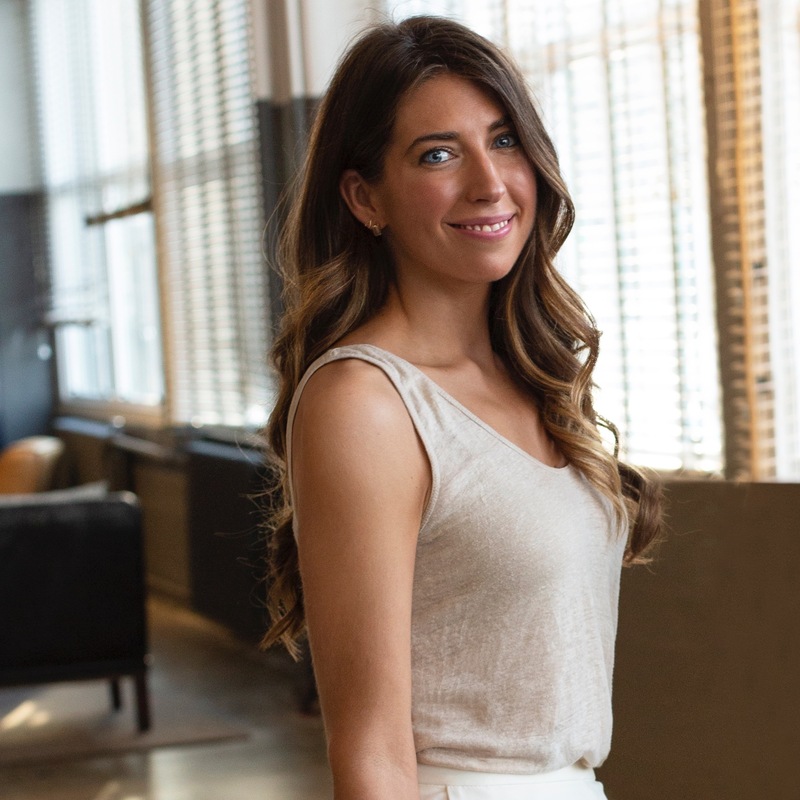 In 2016, she co-founded Bear’s Fruit, which quickly became the #1 kombucha in NY health and wellness, with clients including Sky Ting Yoga, Bar Method, Exhale Spa, Pure Barre, Mile High Run Club, Modo Yoga and more. 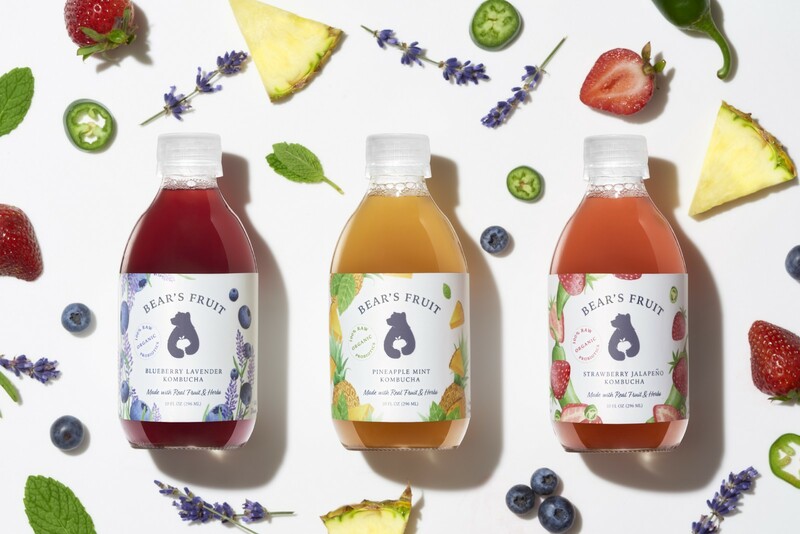 Amy leads day-to-day “front-end” business operations and developed a multiyear strategy to scale Bear’s Fruit, the only kombucha made with 100% organic fruit + herbs, to a national brand. What is kombucha and what health benefits does it have? We get that question a lot! Kombucha is essentially “Tea 2.0” We start with tea, which is already full of powerful antioxidants that attack harmful free radicals in the body and help fight off signs of aging and even chronic diseases. We ferment the tea with a SCOBY — Symbiotic Culture of Bacteria and Yeast — which produces billions of probiotics, or good bacteria, along with a boatload of b vitamins, acetic and glucuronic acid. Beyond killing the bad bacteria we’re exposed to on a daily basis (think e.Coli from questionable takeout or strep throat on the subway) kombucha also has yeast and acids that have been scientifically linked to weight loss, better digestion, faster detoxification of the liver and kidneys and healthier skin, hair, nails. 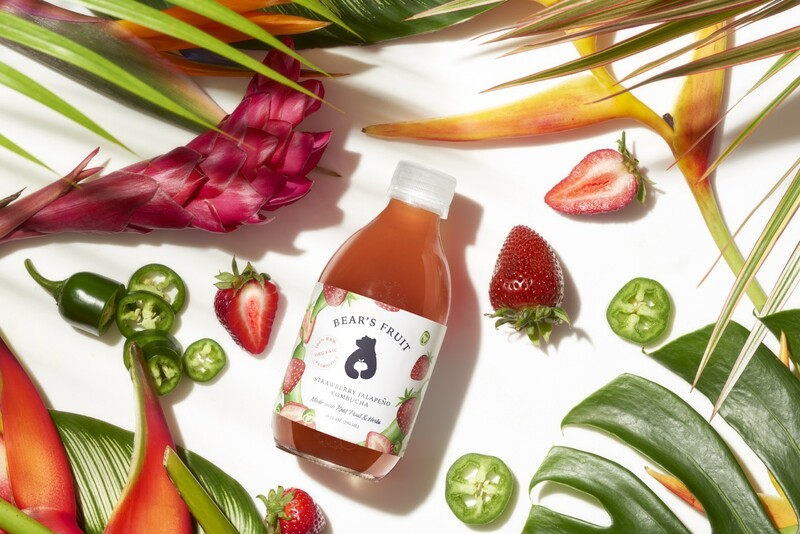 How is Bear’s Fruit Kombucha different from other brands? Great minds think differently, which is why we make Bear’s Fruit with 100% organic fruit & herbs — no juice, flavors or weird stuff. It’s more work to make kombucha this way, but we’re firm believers that better ingredients = better taste. Beyond our premium ingredients, Bear’s Fruit is the only brand sold in a slightly smaller bottle based on the science of how much kombucha your body can process at once (about 8–10 oz). I’m told you quit your job within weeks of meeting your co-founder, Chris. What was that experience like? I imagine it’s a little scary quitting a job to start an entrepreneurship adventure. That is true! We made the decision to launch Bear’s Fruit within weeks of meeting each other. It all started because of a bad first date. We met at a party that neither of us were invited to — my date vanished so I was wandering aimlessly until I stumbled into Chris, who was carrying a houseplant for the host he didn’t know. We became fast friends. At the time, I was interviewing for a new job with another “better for you” beverage company. After the second round of conversations, I called Chris and said something like, “I know this is crazy, but I think we should start a business together.” Thankfully, he didn’t hang up the phone. It’s been two and a half years since our chance encounter at the party and I have zero regrets. Whatever happens with Bear’s Fruit, I can say with certainty Chris will remain one of my favorite people on the planet. He’s the hardest working person I’ve ever met, he rarely complains and most importantly: he’s truly kind. What successes and failures have you had along the way? How have they helped shape your company? We launched in June of 2017 with the goal of being the #1 kombucha in NY’s health & wellness industry, a goal we met by the end of the Summer to our pleasant surprise. We started out selling Bear’s Fruit at a single yoga studio. Within six months we were a regional brand, without any investors or distributors to support that initial phase of operations. It was a ton of work and by no means did everything go as planned, but there’s a silver lining in almost everything if you look closely. One “failure” that was actually a massive blessing in disguise happened when a large influential retailer rejected us late last year. The buyer said they loved everything about Bear’s Fruit — our ingredients, smaller packaging, branding — it was just bad timing because there wasn’t space in the refrigerators. Of course we were disappointed, but in hindsight it was one of the best things that could’ve happened to Bear’s Fruit. The truth is, we didn’t have the resources to support that level of production yet. Every minute of our day would’ve been devoted to keeping that one retailer happy, which would’ve meant turning down incoming business, including an offer from Clover Grocery to be the exclusive kombucha sold at the celebrity-favorite health store. Not only were we selling a ton of Bear’s Fruit at Clover,but the relationship also introduced us to our lead investors. And the best part is, we learned last week the retailer that passed at first now wants to launch Bear’s Fruit in a dozen stores at the start of 2019. Like anything in life, you only get what you’re willing to put in. We named our company Bear’s Fruit as a play on the phrase “to bear fruit,” which is means “to yield positive results.” Starting your own business is not glamorous. I often compared my life to a rollercoaster. The highs are higher and the lows are lower when it’s your own business, but it’s a really fun ride once you get over the stomach-dropping fear. While the stress, long hours and limited disposable income can take a toll on your personal life, it’s worth every minute and penny spent when you start seeing your efforts pay off. How is kombucha changing the health and wellness industry? The rise in kombucha highlights a big shift happening in the way we eat today. Instead of taking medicine or supplements, people are making small changes to their diets, which has been proven to be a more effective way for your body to absorb nutrients. “Food with function” will continue to grow as a trend so long as people don’t feel like they’re sacrificing taste — drinking kombucha shouldn’t be a punishment. I like to remind myself we’re not curing cancer when things get particularly stressful. Of course Chris and I take Bear’s Fruit seriously, but perspective is key.